Apex Scaffolding have over 25 years experience in the scaffolding industry and can tackle small and large falsework projects alike. Falsework is defined as "a temporary structure used to support a permanent structure during its construction (or repair) and until it becomes self-supporting". It also includes temporary support structures for formwork, shuttering into which wet concrete is poured to create a mould. Although this latter type is now less commonly used as other techniques exist. Blackpool Pleasure Beach - Replacement of cracked concrete supports to a tunnel, facilitated using laced "Strong Boys" to support the weight of the bridge during repairs. Hillhouse Pre-Cast Concrete - Access to moulds for the manufacture of pre-cast concrete sea-defences to allow for finishing purposes. To enquire about our falsework, please email or give us a call. With a head office in Fleetwood, Lancashire and good links to the motorway network, Apex Scaffolding operate throughout the North West of England. 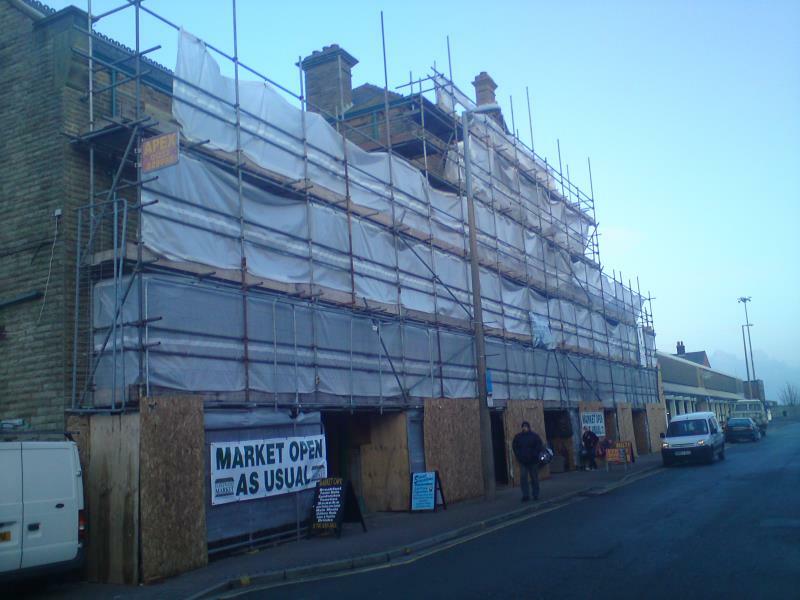 We have supplied Scaffolding Services including sales, hire and erection to domestic, industrial and commercial clients in: Accrington, Blackburn, Blackpool, Bolton, Burnley, Bury, Chester, Chorley, Cumbria, Garstang, Kendal, Lancaster, Leyland, Liverpool, Macclesfield, Manchester, Morecambe, Oldham, Preston, Skelmersdale, Southport, St Helens, Stockport, Warrington, Widnes, Wigan, Wirral, Wrexham and more!